whatisthis8175 I think these guys just actually recorded themselves performing elaborate rituals and put it out for the world to enjoy. Tolujin The ne plus ultra (hopefully) of the increasingly reviled 'cavencore' sub-genre, Irkallian Oracle's highly divisive Apollyon is best approached as a doom metal record with death trappings. The mood is certainly mournful overall and the sound as subterranean as it gets. The benzo/opioid-induced nightmare of a death metal record, maybe. Matthew Toye Irkallian Circle aren't your typical Swedish death metal band. It's not all speed with these guys. They can transition from crawling punishment to razing the world by flame fast in the drop of a hat. Upon offering its initial prophecy, “Grave Ekstasis,” in March 2013, Irkallian Oracle immediately left an indelible impression on its audience that was commensurate with the obscure oppressiveness of the music itself. Originally released as a limited cassette edition by Bolvärk Productions, this first album’s supply of copies was quickly outgrown by the demand that it had rightfully garnered. In response, Nuclear War Now! began its relationship with the band by offering to make the album more widely available on LP and CD formats. Shortly thereafter, and like any band that truly deserves such a level of admiration in the wake of just a single recording, this Swedish death cult dedicated itself to surpassing its own highly-set standard in composing and eventually recording its second full-length album. 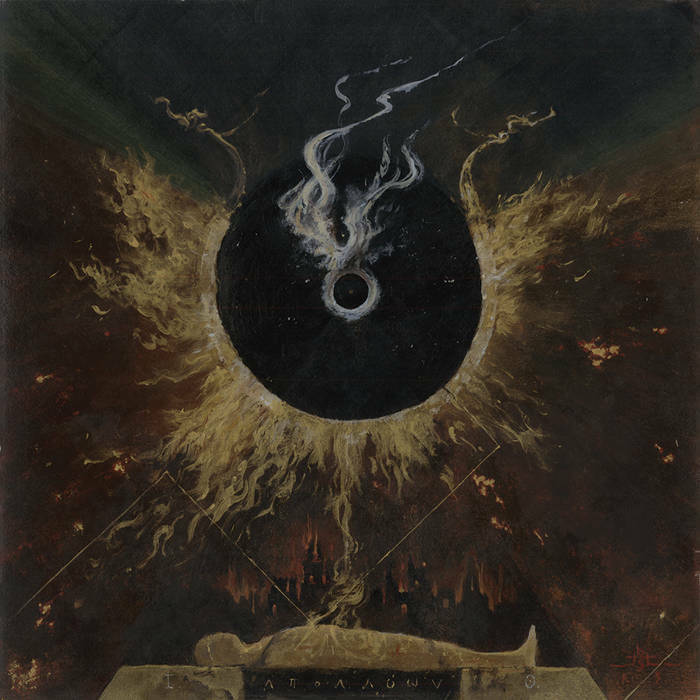 “Apollyon,” the fruit of this endeavor hereby presented by Nuclear War Now!, has met and exceeded the lofty expectations resulting from the acclaim of “Grave Ekstasis.” In the same fashion as the first album, “Apollyon” achieves its effect by dragging the listener down into the most abysmal depths of subconscious oblivion. 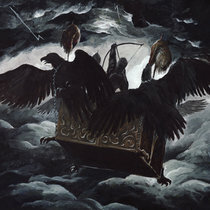 This descent is blanketed in a palpably dark atmosphere and primarily driven by a unique array of percussive patterns and instrumentation, all of which is complemented by the alternating swelling and contraction of the guitar riffs. It is, however, with perhaps a hint of irony that this second album eclipses its predecessor in terms of its darkness, given the obvious solar reference in the title “Apollyon” and the previous album’s lunar association. On the other hand, the even more pronounced density of “Apollyon” is appropriate when one recognizes the sun’s role as an active generator of light, an agent of revelation and prophecy, and the absolute state of Being, which are the dominant themes explored in the album’s lyrics and other accompanying texts. Further distinguishing “Apollyon” from “Grave Ekstasis” is the greater degree of focus in its compositions. “Grave Ekstasis,” with its more open approach to the songs’ arrangements, was reflective of a band in its early development, firmly in possession of an unbridled potency but with a somewhat lesser capability to optimally channel this potential. “Apollyon,” on the other hand, demonstrates a musical maturation evidenced by its greater level of systemization and technical advancement, which results in a more cohesive effort overall. The differences between the two albums notwithstanding, “Apollyon” serves as a natural progression of the meditations begun on “Grave Ekstasis,” and this continuity is further exemplified by having once again chosen artist David Herrerias to visually manifest the band’s aural discourse. Behold the six-fold secret sung by the Abysmal Angel in dedication to the mysteries of the Infernal Sun.